Retribution collected from all merchants in loksem and lokbin in West Jakarta within January 1-August 31 period, 2018 is Rp1.87 billion.
" Retribution revenue is collected from 1,796 fostered merchants in 40 loksem and 5 lokbin"
"Retribution revenue is collected from 1,796 fostered merchants in 40 loksem and 5 lokbin," informed Nuraeni Silviana, Head of West Jakarta KUKMP Sub-dept., Wednesday (9/5). 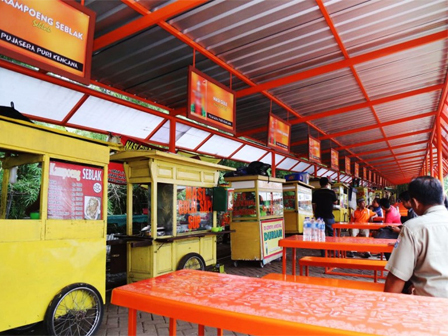 She mentioned, 40 loksem and 5 lokbin units in West Jakarta is located in 29 of 56 urban villages with total 1,805 kiosks. "All lokbin and loksem are build on social and public facility lands," she added. According to her, fostered merchants who open their business in loksem should pay retribution Rp 3,000 per day. While Rp 4,000 retribution per day for lokbin's merchant. "Retribution collecting is done through auto debit system on DKI Bank accounts," she explained. Until now, her side still continues to collect retribution billing from fostered merchants who haven't paid for it that could reach around Rp 1.13 billion in total. "We have issued warning letters. Those who don't pay the retribution will be deprived from loksem or lokbin," she affirmed.